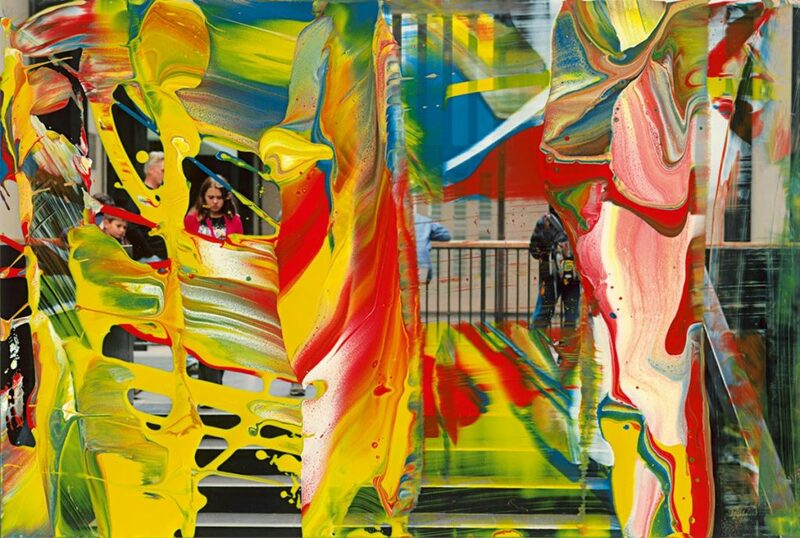 Gagosian is to present overpainted photographs by Gerhard Richter. Throughout his long and eminent career, Richter has expanded the potential of image making through a dialogue between old and new media. 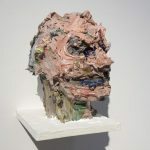 He began painting over photographs in the mid-1980s, at the very moment when New York Neo-Conceptual artists were engaging with questions of image appropriation and reproduction, and the German Neo-Expressionists were focusing rather on the sheer emotionality of paint. Richter has continued to bridge these two lines of inquiry into the present day, probing their tensions as photographic technologies become increasingly pervasive. Unlike his photo paintings of the 1960s (in which he translated found and personal photographs into arrestingly lifelike, out-of-focus paintings), the works in this exhibition retain their status as printed photographs—made with light rather than the artist’s hand—yet they are complicated by the application of paint, which merges photographic reproduction with abstract materiality. Included in the exhibition are works from Museum Visit (2011), Richter’s largest series of overpainted photographs, comprising over two hundred individual images. 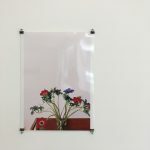 Taken during a visit to Tate Modern in London during the run-up to Panorama, his retrospective at the museum in 2011–12, the photographs capture the flux of visitors throughout a single day in a handful of specific locations. 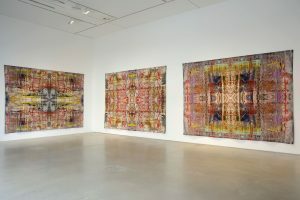 Richter narrates the increasing flow of visitors with different paint colors, obscuring areas with the squeegees he uses for his distinctive smeared abstractions. Screens of white communicate when there are few people in the galleries, and bright and bold colors indicate when the crowds and subsequent activity grow. In other series, such as Urban Landscapes (1989–2016), Rural Landscapes (1988–2016), and Firenze (2000), Richter likewise obscures and reveals specific details of natural vistas and city streets. The Firenze works comprise three photographs that Richter took in 1999 on the banks of the Arno River in Florence. Buildings, water, bridge, and sky are alternately covered and exposed, challenging the viewer to hone in on visual moments that might have otherwise escaped notice. Together, the overpainted photographs attest to the infinite variations in perception that exist from one person to another, and from one moment to the next—a reality that photography denies through its mechanical process, but one that Richter reintroduces with his applications of paint. Thus, in the overpainted photographs, two oppositional aspects of his process—a narrowing-in on the specific and an embrace of ambiguity—are united. Gerhard Richter was born in Dresden, Germany, in 1932, and lives and works in Cologne, Germany. His work has been shown and collected by museums throughout the world. Major exhibitions include Forty Years of Painting, Museum of Modern Art, New York (2002, traveled to Art Institute of Chicago; San Francisco Museum of Modern Art; and Hirshhorn Museum and Sculpture Garden, Washington, DC); Painting as a Mirror, 21st Century Museum of Contemporary Art, Kanazawa, Japan (2005); Paintings 1963–2007, National Museum of China, Beijing (2008); Portraits, National Portrait Gallery, London (2009); Abstract Paintings, Museum Ludwig, Cologne (2008–09, traveled to Haus der Kunst, Munich); Panorama, Tate Modern, London (2011–12, traveled to Neue Nationalgalerie, Berlin, and Centre Pompidou, Paris); ATLAS, Kunsthalle im Lipsiusbau, Dresden (2012); Drawings and Watercolors 1957–2008, Musée du Louvre, Paris (2012); Streifen + Glas, Galerie Neue Meister Dresden (2014, traveled to Kunstmuseum Winterthur, Switzerland); Fondation Beyeler, Basel (2014); Birkenau, Museum Frieder Burda, Baden-Baden, Germany (2016); New Paintings, Museum Ludwig, Cologne (2017); A Survey, National Gallery, Prague (2017); The Life of Images, Queensland Art Gallery | Gallery of Modern Art, Brisbane, Australia; Über Malen – Frühe Bilder, Stedelijk Museum voor Actuele Kunst, Ghent, Belgium (2017); and Abstraktion, Museum Barberini, Potsdam, Germany (2018). Gerhard Richter: Seascapes will open at the Guggenheim Bilbao, Spain, in May 2019. This entry was posted in Art Previews, EXHIBITIONS and tagged Gerhard Richter. Bookmark the permalink.